As any pet parent will tell you, all dogs are heart-filled, courageous and completely remarkable. But sometimes, there are dogs that go above and beyond. This week, we had the absolute privilege to meet with K-9 Patrolman Brandon Miller and his Belgian Malinois Rico. The two work at Mercyhurst University in Erie, PA where they serve and protect all the students and faculty in the region. Rico is the region’s first and only explosive/firearm detection dog, so the two have an extremely important job to do every day. Last month, Brandon wrote to us telling us all about his wonderful partner and his love for Freshpet recipes. “He’s a very finicky eater and refuses to eat any dry food. We tried everything, and the only food he’ll eat is Freshpet,” he said. His favorite is, by far, the Freshpet Select Chicken Vegetable with Brown Rice recipe, eating it for breakfast AND dinner. We wanted to say thank you to the two for their service in a special way. We surprised Miller and Rico with over a dozen cases of our food. That means plenty of food for Rico who sticks to a strict daily regimen of 1.5 mile runs, 45 minute fetch sessions and, of course, their daily shift from 3-11pm. We couldn’t be happier that Rico loves our recipes! 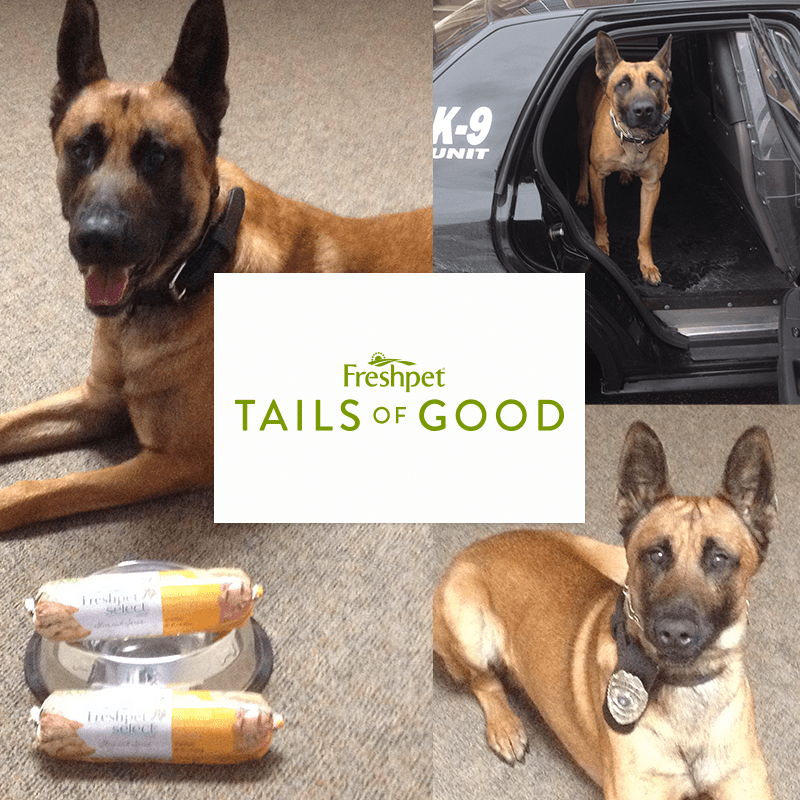 If you know of a pet or family member who deserves an Tail of Good, we want to hear from you! Email us at [email protected], or send us a message on Facebook or Twitter.